This release brings many technical improvements, as well as new features and over a thousand bug fixes. - Better cross platform support. 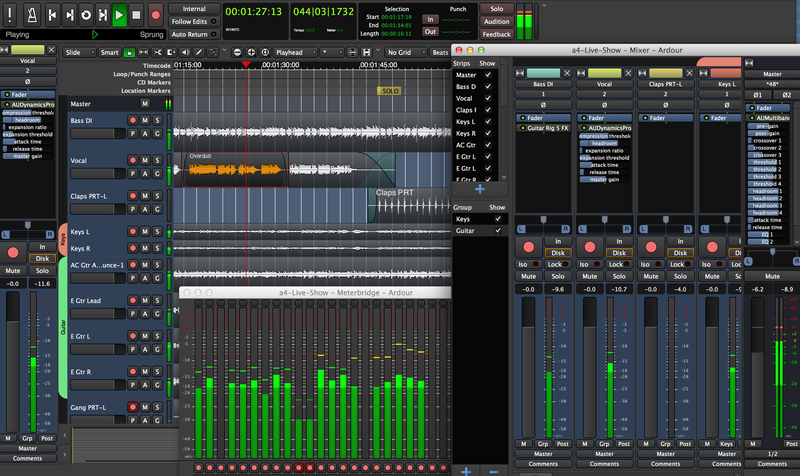 Ardour now runs on GNU/Linux, OS X and for the first time, Windows. - JACK is no longer required, making it easier than ever for new users to get Ardour up and running (though JACK is still usable with Ardour). - The user interface has seen a thorough overhaul, leading to a more modern and polished experience. Ardour is a free digital audio workstation. You can use it to record, edit and mix multi-track audio. Electronic Music 4 Life ! Bought it but it feels very clunky for me and not feeling it for workflow yet. - Prevent adding Master Bus to a Track/Bus group and make group button insensitive. - Re/Add send options in the Processor box context menu and an option to allow feedback loop via Aux sends. - Improvements to behaviour of Track/Bus/VCA Color Selection dialog. - Consistent Color Selection dialogs with customizable color palette. - Update Track/Bus/VCA colors while choosing color in Color Selection dialog. - Use Shift key to toggle gain-grouping on a Fader, ctrl to override solo/mute grouping. - Update Selection Clock when selected Region properties change. - Hide SoundCloud upload in Export Dialog until fixed. - Use OpenGL backed rendering/drawing for several Widgets on OS X/macOS including main Track Canvas to improve performance. - Add ability to drop Group from VCA via right click on Group tab. - Add preference to disable blinking of alert buttons. - Various improvements to Audio Setup dialog. - Add preference to only enable Click when recording is enabled. - Updates to Blueberry Milk colors/theme. - Merge most of the string-convert branch (see ardour-dev list for overview). - Remove no longer necessary LocaleMode preference. - Make -b/--bindings command line option output key bindings to HTML and launch in browser. - Add -A/--actions command line option to output actions' names in HTML and open in browser. - Deselect WASAPI support by default in Windows installer. - Make Track/Bus XML node order in Session file independent of display order [#7327]. - Add action to select the topmost track and use in Faderport8 surface. - Make Group color property accessible to surfaces and scripts. - Improve Tap Tempo and allow tapping with keyboard (Space or Enter). - Add configurable limit to clock display range. - Restore visibility of Monitor Section and whether attached/detached. 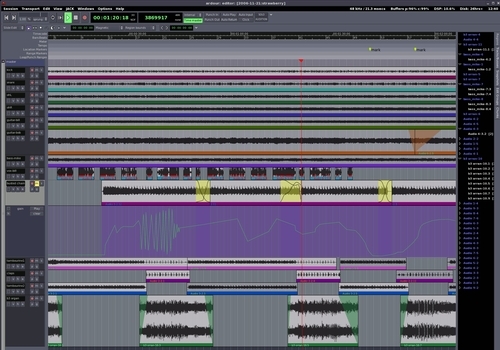 Ardour is a free digital audio workstation for Windows, Mac and Linux.